Ex-manager jailed for claiming "Priyanka attempted suicide for 3 times"
Home BOLLYWOOD Priyanka Chopra Ex-manager jailed for claiming "Priyanka attempted suicide for 3 times"
Priyanka Chopra attempted suicide three times during her struggling days including in 2002 after the death of her alleged former boyfriend Aseem Merchant’s mother, her ex-manager Prakash Jaju claimed on Sunday (April 3). “PC was very close to Aseem merchant’s mother, her death in 2002 shattered her so much that she tried to jump off karan apt to commit suicide,” Jaju wrote. “PC may look very strong now but she was also very vulnerable in struggling days, tried to commit suicide 2-3 times but I managed to stop her,” he wrote. Jaju said Priyanka and Aseem used to fight on daily basis and on one such night, the actress attempted suicide. “Daily PC and Aseem used to fight… She used to call me at 2 am in the night, crying… and I used to take her from Aseem’s house, make her understand and drop her at her home. 4 …. 18-19 saal ki ladkiyon main kahaan akkal hoti hai. 2 … usko raat ko 2-2 baje aseem ke ghar ke niche se apni car main leke aata, phir usko samjha bujha ke uske ghar chodta. 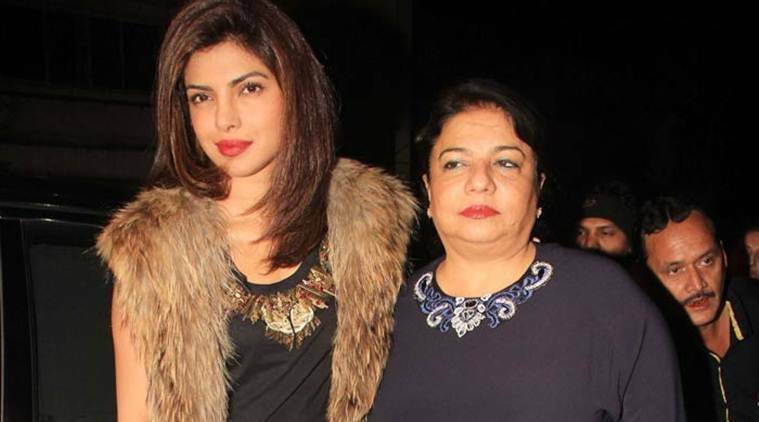 Priyanka Chopra’s mother Madhu has called the actress’ former manager Prakash Jaju “a liar” after he claimed that her daughter tried committing suicide three times during her struggling days. Jaju, who managed the actress from 2000-2004, posted on Twitter yesterday that one such incident was in 2002 after the death of Priyanka’s alleged former boyfriend Aseem Merchant’s mother. The ex-manager said the 33-year-old “Quantico” star was extremely close to Merchant’s mother and did not take her demise well. Jaju, however, ended up serving 67 days in jail after Priyanka’s father, Ashok Chopra filed a complaint against him for interfering in his daughter’s privacy.